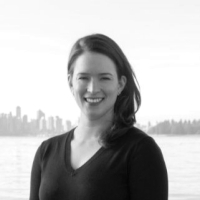 I met Benedicte in Vancouver during a networking event. She was one of the speakers and shared her experience as a coach. I really liked her approach. A few months later I moved to Montreal and knew she was there too. I was at a point in my professional life where I was lost and I wanted someone to help me figured out what to do next. I decided to contact Benedicte and ask her to be my career coach. She helped me reflect on me, what are my values, what is very important for me in a job and with the Strong test, I realized that I am more an artistic person than I thought. 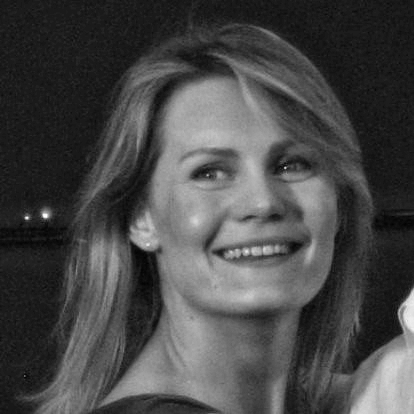 Benedicte is always available between sessions if you need her help or guidance. She will adapt the content of the sessions to your needs. I really enjoyed her coach services. Working with Bénédicte has undoubtedly transformed a lot of things for me. In a context of global inner change, Bénédicte was able to help me identify the blockages, but also to draw on my own strengths and allow me to keep growing in my professional path; she knew how to bring me answers and concrete tips adapted to my problematic and to my personality. In late 2017 I had reached a point in my career where I knew I wanted a change, but was unsure of what direction to take. Benedicte came highly recommended by a friend, and it made sense to me to seek her professional advice. Through her coaching, she helped me uncover how to navigate my options by providing sound guidance and insights. I contacted Benedicte for assistance and guidance on how to structure my career for the next five to ten years. I was at a stage in my career where I did not know how to move forward or how to develop myself further. We started off with small goals and objectives and we linked some timelines to that. Throughout the three-month process, Benedicte kept me on my toes with various tasks and exercises. These tasks helped me to think for myself rather than looking at her for answers. She provided great guidance by asking the right questions at the right time. She always made me think in order to come up with the solutions and answers myself. Now after three months of coaching, I know much more about myself and my own passions and interests than I have ever known before. I still do not have all the answers to all my questions but I now have all the right tools to accomplish great success in my career going forward. I have known Benedicte since 2015, she became my mentor in 2016. We connected through Dress for Success’s Professional Women’s Group and maintained monthly meetings for over a year. — Deanna Flinn, Photographer, Free Admission Photography, Vancouver, Canada. When I met Benedicte, I realized how lucky I was; I had found a true coach. Benedicte calmly listened to me, asked me the right questions and helped me realize what I was looking for. Once I was fully aware of my opportunities for improvement, Benedicte gave me tools, showed me options, and provided multiple resources so I could continue my path. My focus has now changed, I have accepted who I am and am using Benedicte’s guidance to move forward in my career. In addition, Benedicte was always on time for all our appointments and available between sessions when I needed to share my progress (or lack of), when I had questions about the tools I was using and to provide encouragement. — Elena Yepes, Information Systems Manager, Tides Canada, Vancouver, Canada.